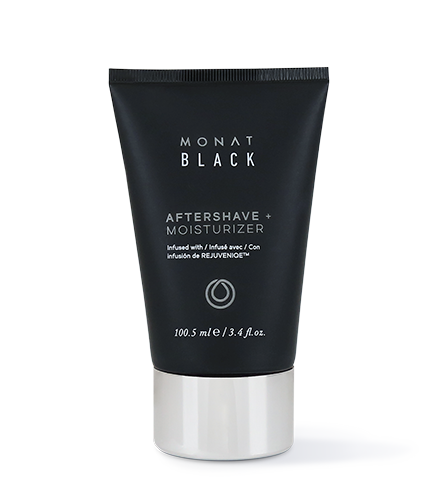 To learn more about MONAT BLACK Aftershave+Moisturizer, please contact your MONAT Market Partner. A rich and velvety Aftershave + Moisturizer that helps to soothe skin, minimize ingrown hairs and provide excellent skin hydration. Helps to prevent moisture loss and refine fine lines. 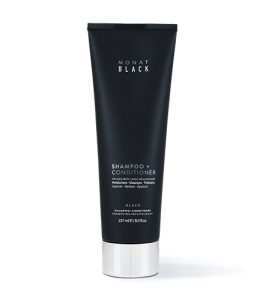 Calms the burning sensation and skin irritation experienced after shaving. Helps to reduce ingrown hairs and razor bumps. They say you have to accept the rough with the smooth. We say, forget that! Shaving doesn’t end after you wash your face; the key to a smooth and protected face starts here with our Aftershave + Moisturizer. 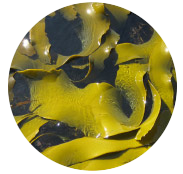 A soothing duo of kelp extract and aloe leaf soothes skin and mitigates those dreaded razor bumps. Plus, Vital ET® reduces the signs of aging and environmental stress. Helps to soothe and hydrate the skin, and it also aids in keeping it smooth. Protects against the signs of skin irritation and reduces the signs of aging and environmental stress. Water, Cetearyl Alcohol, Glyceryl Stearate SE, Heptyl Undecylenate, Caprylic/Capric Triglyceride, Disodium Lauriminodipropionate Tocopheryl Phosphates, Cetearyl Glucoside, Aloe Barbadensis Leaf Juice, Spirulina Platensis Extract, Macrocystis Pyrifera (Kelp) Extract, Cocos Nucifera (Coconut) Oil, Tocopherol, Limnanthes Alba (Meadowfoam) Seed Oil, Crambe Abyssinica Seed Oil, Camellia Oleifera Seed Oil, Solanum Lycopersicum (Tomato) Seed Oil, Daucus Carota Sativa (Carrot) Seed Oil, Citrus Medica Limonum (Lemon) Peel Oil, Citrus Aurantifolia (Lime) Oil, Citrus Aurantium Bergamia (Bergamot) Fruit Oil, Adansonia Digitata Oil, Mauritia Flexuosa Fruit Oil, Gardenia Tahitensis Flower Extract, Moringa Oleifera Seed Oil, Caryocar Brasiliense Fruit Oil, Helianthus Annuus (Sunflower) Seed Oil, Fragrance, Benzyl Alcohol, Ethyhexylglycerin.